Relax Music Group partners provide Artist Management and Music Consulting Services to Established Recording Artists, Venues and Labels. At the present time, we are only accepting music submissions through our radio station, HotWaxRadio.com. You can read more About Our Partners, or for more information on our Management and Consulting services contact Patrick Rule at patrick (at) relaxmusicgroup.com or by phone at 309-404-5088. HotWaxRadio.com | Hit Indie Music HotWaxRadio.com is our long standing In-House Internet Radio Stream, broadcasting online and in the virtual world of Second Life. Since launching as Hot Wax Radio on January 1, 2017, we've streamed Indie Music to more than 2.75 million listeners! (10/01/2018). Get more information and listen to The Ultimate Mix of Hit Indie Music at HotWaxRadio.com. Independent Recording Artists are encouraged to Submit Music for Airplay on our Internet Stream by visiting HotWaxRadio.com/Submit-Music. SUCCESS in the MUSIC BUSINESS - Free E-Book! 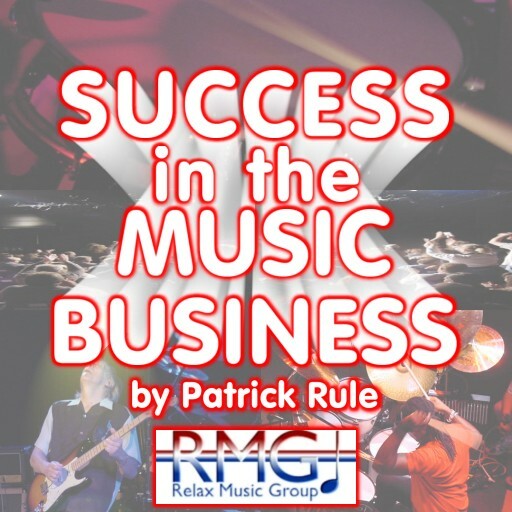 Relax Music Group is proud to offer you our E-Book, Success in the Music Business ABSOLUTELY FREE! Get the Basic Industry Insight that Every Musician Shoud Know about the Music Business, and the steps you need to take on the Path to Stardom! If you are seeking to "Make It" in the "Biz", YOU NEED TO READ THIS E-BOOK! Go ahead... IT'S FREE!